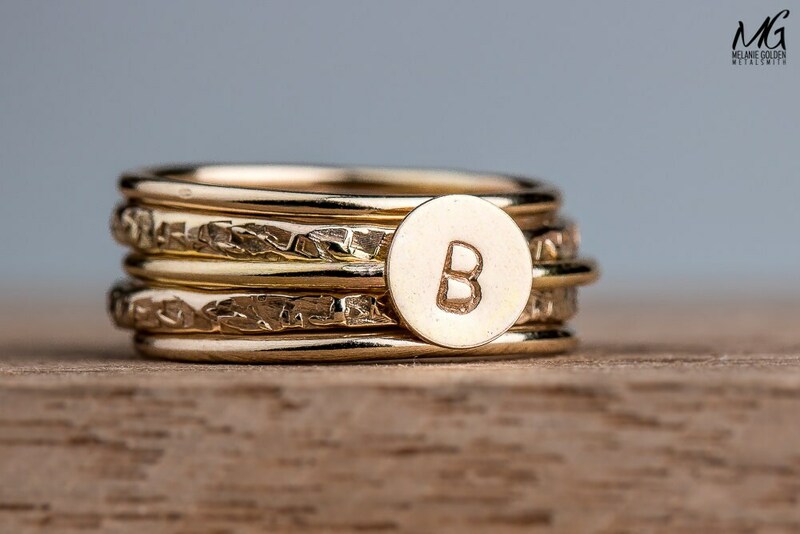 These gorgeous initial letter rings can be made in Sterling Silver, 14K Yellow Gold Fill, or 14K Rose Gold Fill. 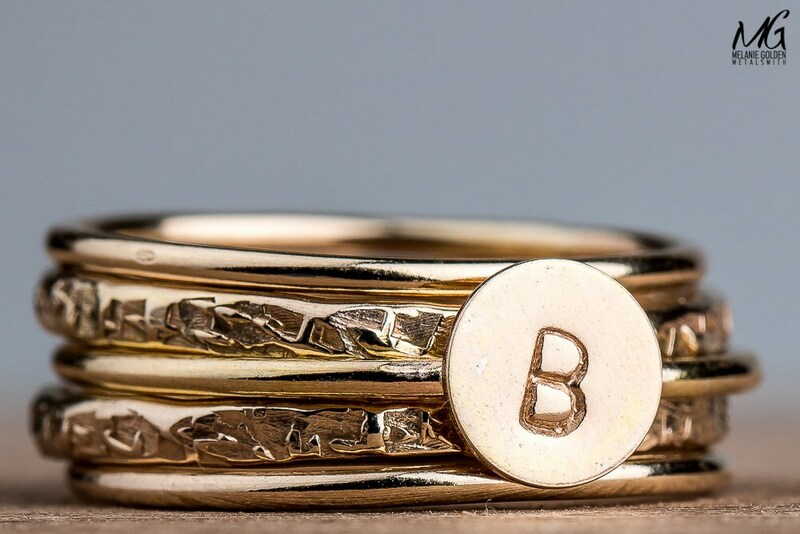 The rings feature an uppercase letters of your choice in an arial-style font. 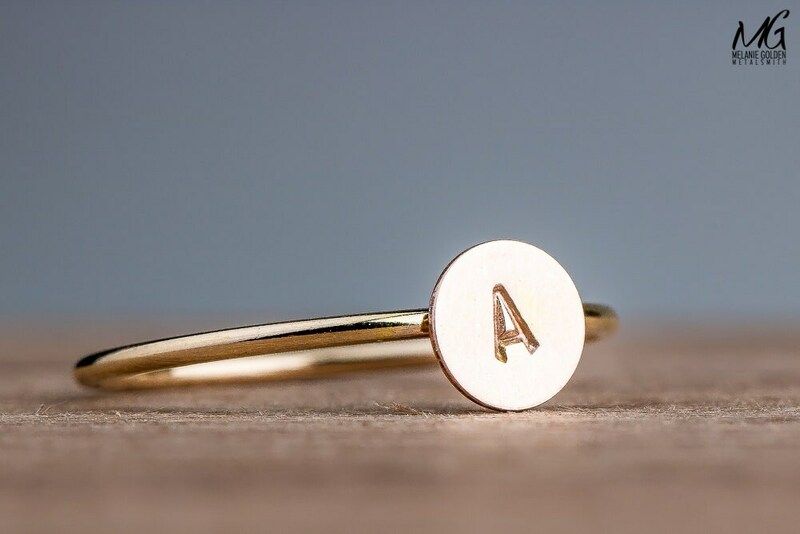 These custom initial rings are perfect for those who want to wear the initial of their loved ones, or even your own initial! 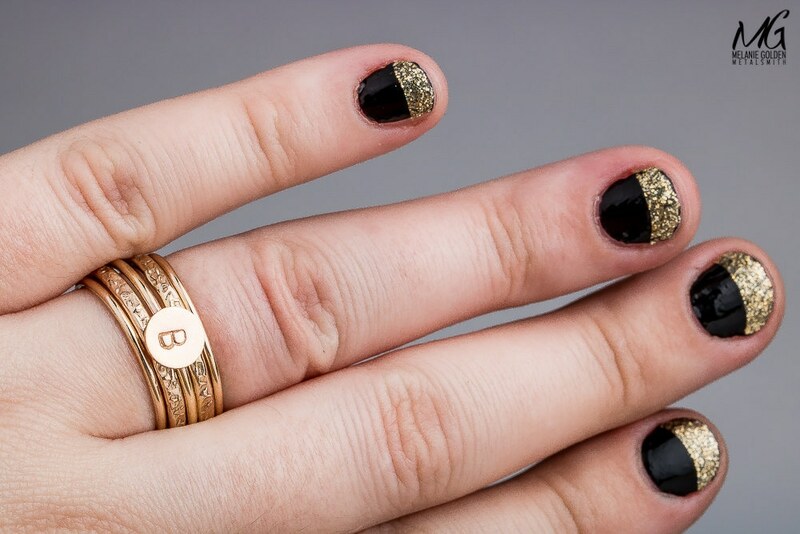 Simple and easy design that can be stacked with others for a bold look! 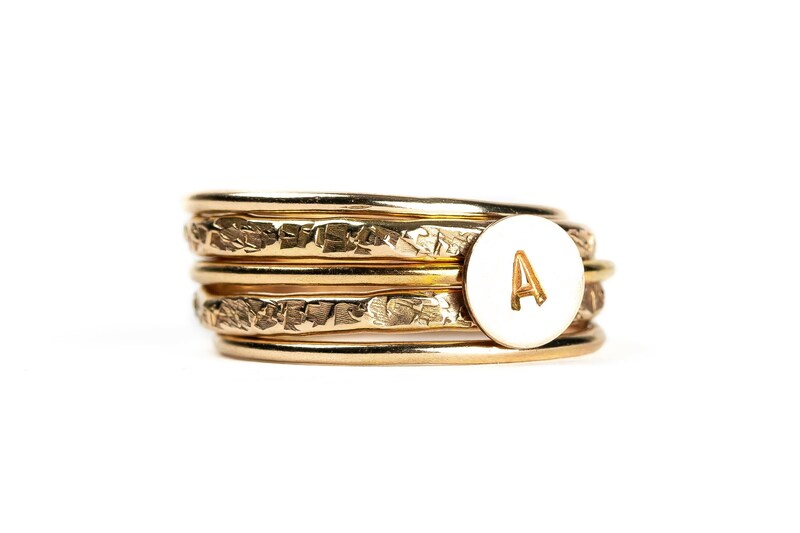 These rings make great family rings and gifts for moms or grandmothers! 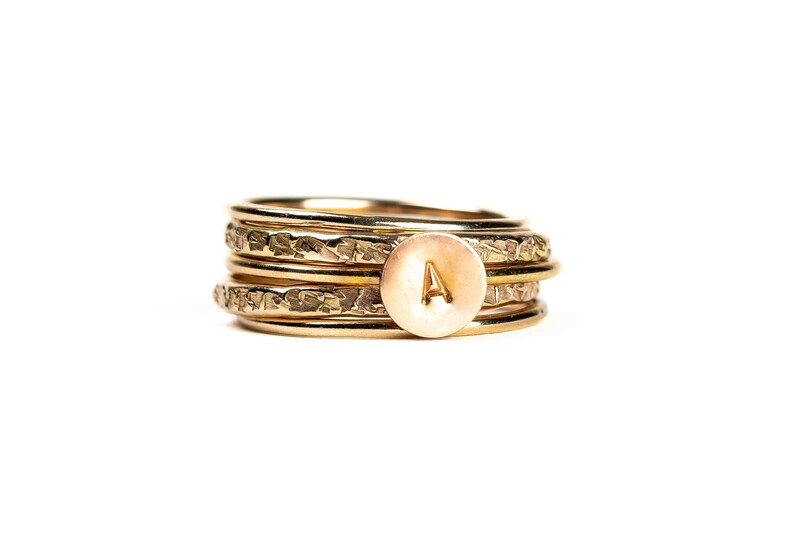 This ring set contains 1 initial rings, 2 14K Gold Fill "Smooth" stackers, and 2 heavy weight "Raw Silk" stackers. - Ring is made entirely from solid Sterling Silver, 14K Yellow Gold Fill, or 14K Rose Gold Fill. 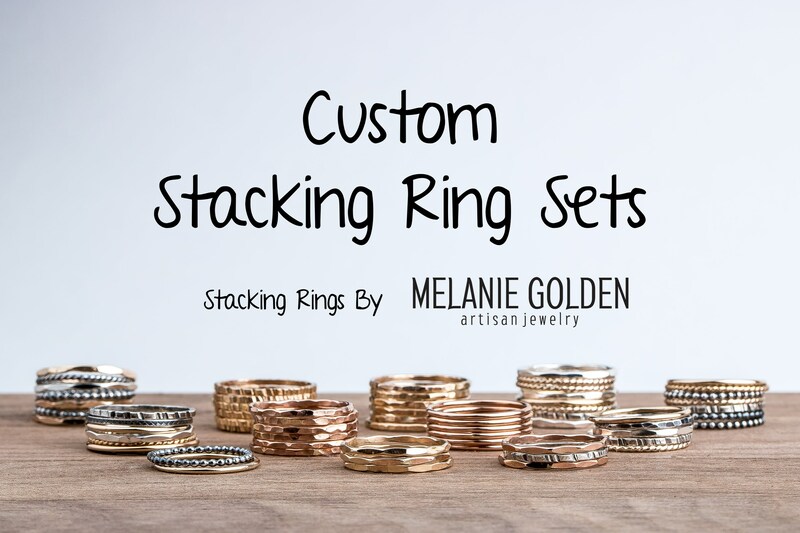 - This ring set is for SEVEN rings: 1 initial rings, 2 14K Gold Fill "Smooth" stackers, and 2 heavy weight "Raw Silk" stackers. 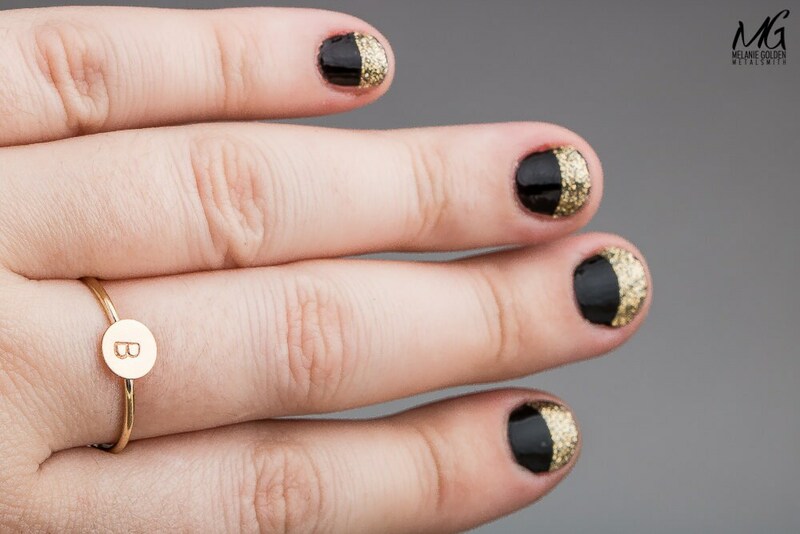 Material: Choose Sterling Silver, 14K Yellow Gold Fill, or 14K Rose Gold Fill from the drop-down menu.